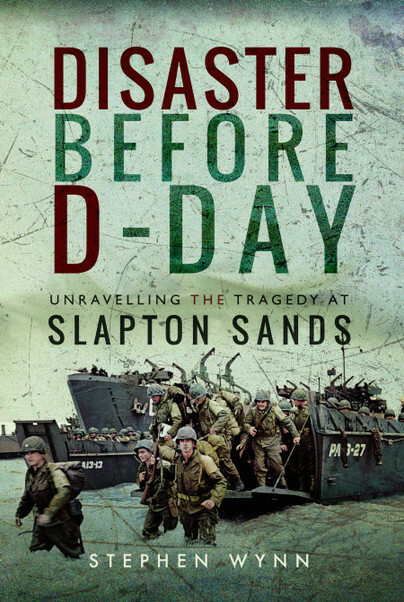 You'll be £15.99 closer to your next £10.00 credit when you purchase Disaster Before D-Day. What's this? This is a book of two stories. The first is the sad tale of how at least 749 American servicemen lost their lives on a pre-D-Day landing exercise, code-named 'Operation Tiger', on the evening of 23/24 April 1943. The second was the unanswerable question of whether the attacking E-Boats of the German Kriegsmarine had fully grasped the importance of what they had stumbled across. Because of the time scale between the operation and the actual D-Day landings, secrecy surrounding the tragedy had to be stringently adhered to, and even after the invasion of Normandy, only scant information about the incident and those who were killed was ever released. The other factor which was of major concern, was if the Germans had understood the significance of the vessels they had attacked, then the intended Allied invasion of Europe was in grave danger of having to be postponed for an indefinite period of time. In late 1943, as part of the build-up to the D-day landings at Normandy, the British government had set up a training ground at Slapton Sands in Devon, to be used by the American forces tasked with landing on Utah Beach, in Normandy. Coordination and communication problems between British and American forces resulted in friendly fire deaths during the exercise, making a bad situation even worse. The story was then lost to history until it was picked up again by Devon resident, Mr Ken Small after he discovered evidence of the aftermath washed up on the shore at Slapton Sands in the early 1970s. In 1974, Mr Small bought the rights to a submerged American tank, which he had discovered in the waters close to the beach at Slapton Sands. In 1984, he raised the tank, which is now a memorial close to the sea front. It does make for interesting reading and provides something of a memorial for those who lost their lives in this sad story.